John Douglas Armour was born in the township of Otonabee, Upper Canada (Ontario), on May 4, 1830. He was the son of Samuel Armour. After graduating with a B.A. from the University of Toronto in 1850, he studied law in the office of his brother, Robert Armour, then in that of P. M. M. VanKoughnet. He was called to the bar in 1853 and practised in Cobourg, Canada West (Ontario), for 25 years, first with Sidney Smith and later with H. F. Holland. 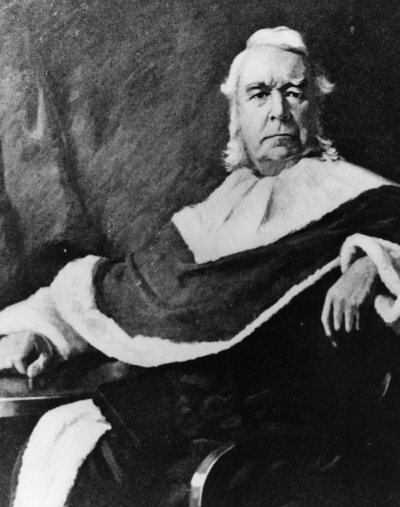 In 1877 he was appointed to the Court of Queen's Bench of Ontario and was named its chief justice in November 1887. In 1901 he became Chief Justice of Ontario. The following year, on November 21, 1902, he was appointed to the Supreme Court of Canada. Three months later, the imperial government appointed him to the Alaskan Boundary Commission. He served on the Supreme Court for seven months. Justice Armour died on July 11, 1903 at the age of 73, while working with the Commission in London, England.